We already know this will be our longest day driving on this trip. 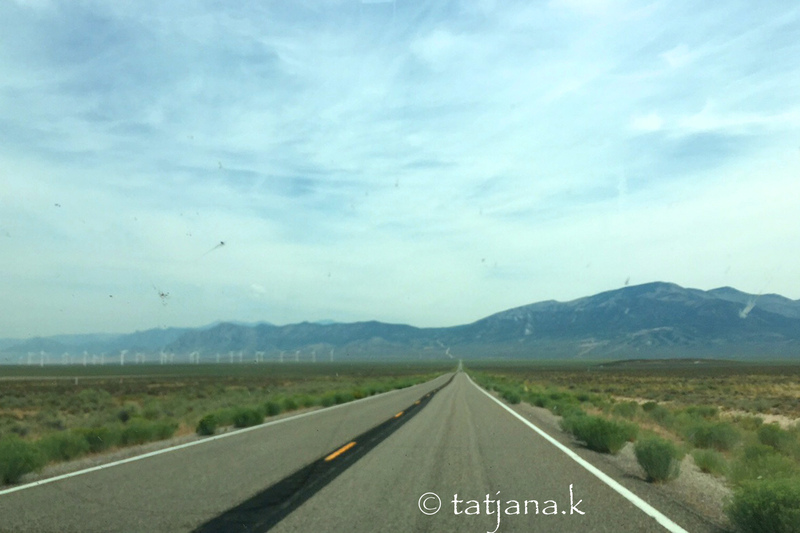 We don’t look back as we leave the bustling town of Tonopah. 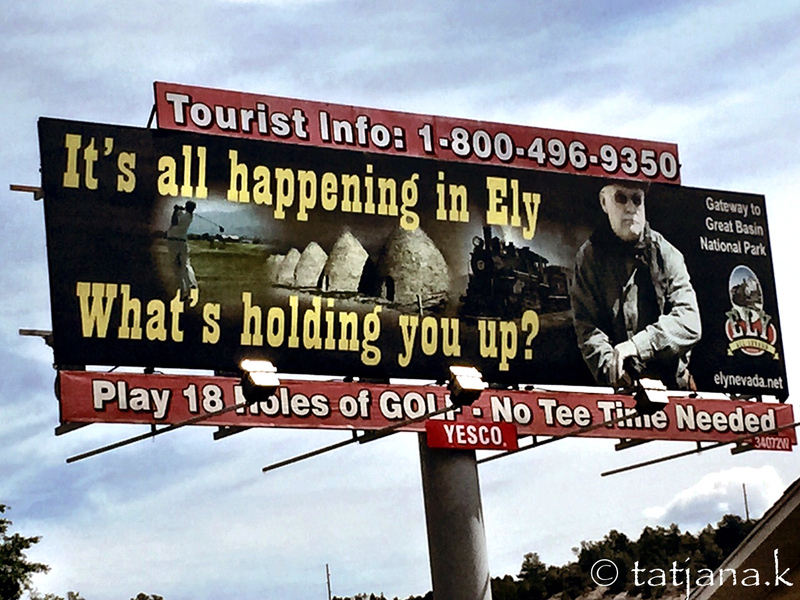 We know our first stop is going to be Ely, Nevada. It’s a long 168 miles to Ely. Hwy 50 is also called The Loneliest Road in America. In a span of over 400 miles there are 3 small towns and Ely is about in the middle with a whopping population of 4,255. We average about 5 cars an hour. Meaning we see about 5 cars an hour. It’s lonely. But they let us drive 80 mph. Now, you may not believe it, the roads are so straight that we can see miles and miles ahead of us. In fact, we see Ely about 17 miles out. I call this some eagle eyes. Then we arrive in happening Ely. We do what everyone does in Ely: we get gas, swap drivers and move on. 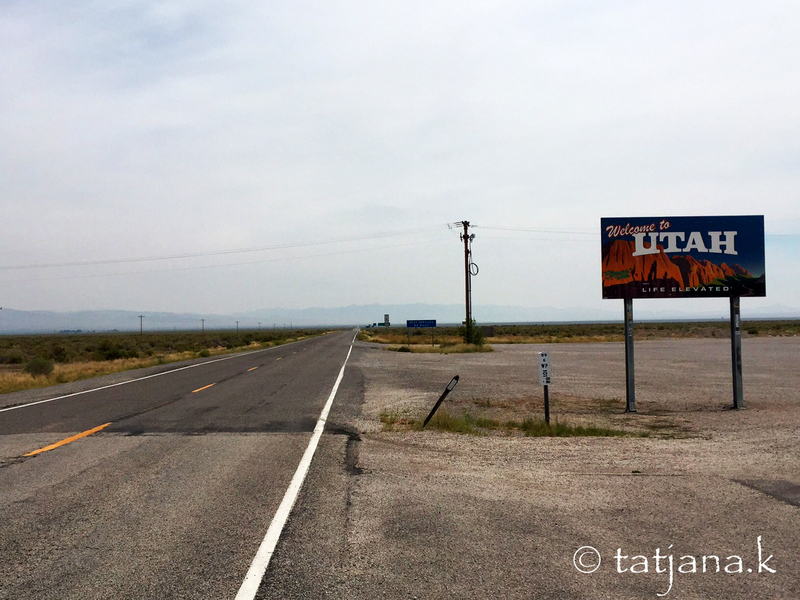 Soon something happens: we cross into Utah! After the excitement of the State line (and the excitement about the better road surface), things get back to normal and we have another near 200 miles of the same scenery until we hit the next town. 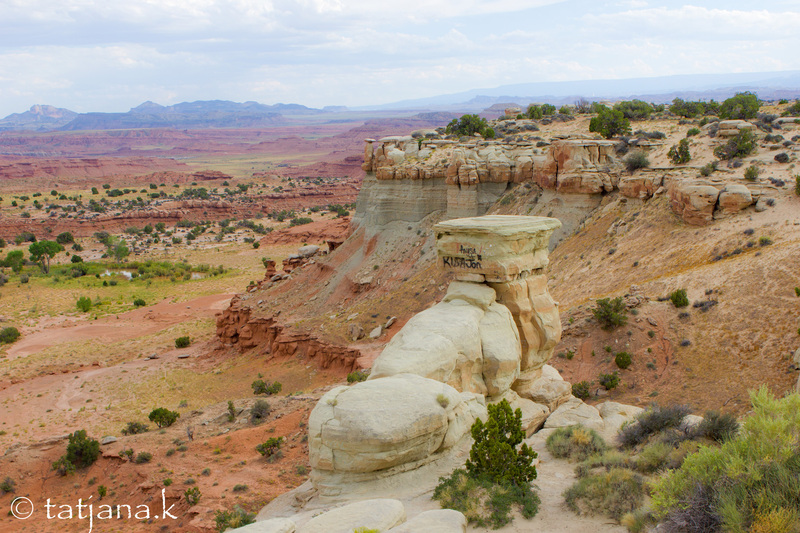 As we get closer to our destination we are finally entering the pretty part of Utah. 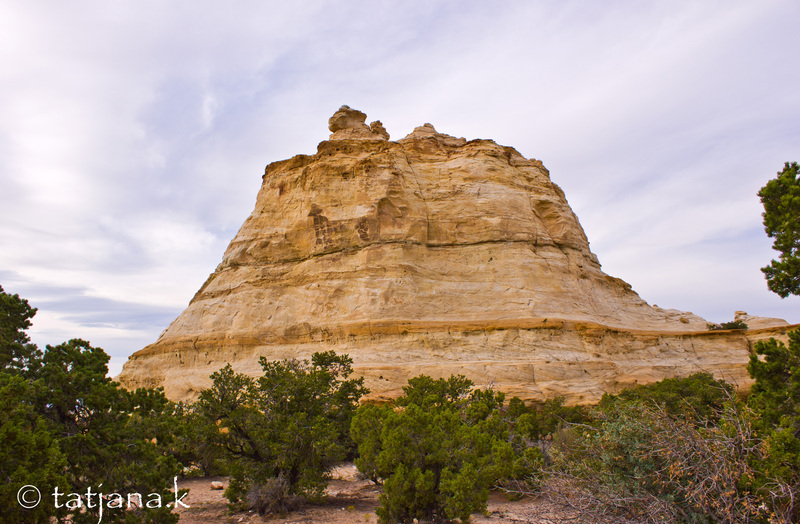 The first rocks appear on the side of the highway. Oh, let’s stop for a photo! 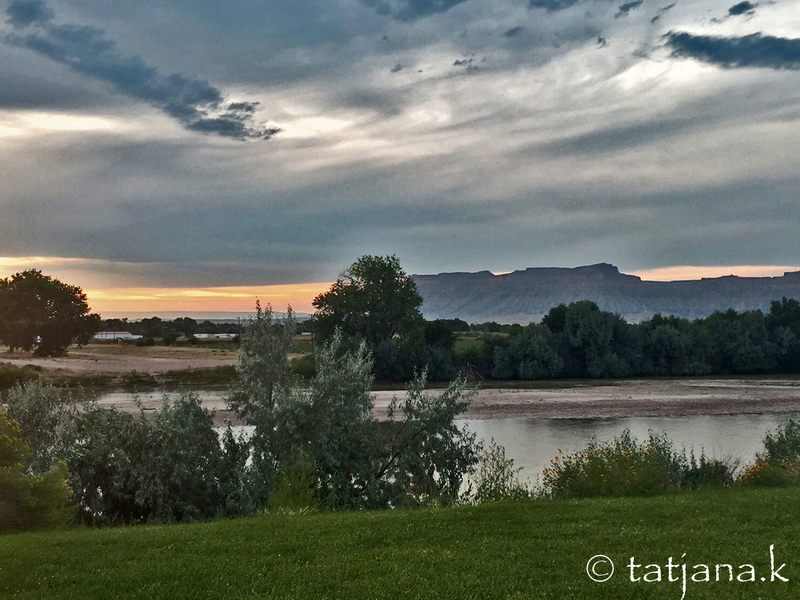 We are finally at our destination: Green River in Utah, the water melon capital of the world (I can’t make this stuff up). The hotel is surrounded by reddish looking rocks, very pretty. And there is a brewery across from the hotel. Someone did some research when booking. Just saying… Good night, y’all. This entry was posted in USA Travel and tagged ely, green river, highway 50, nevada, road trip, the loneliest road in america, travel, utah, water melon capitol of the world.